Kei Miura wanted to take the S2000 and give it more exterior DNA from the NSX. We're not quite sure if he accomplished his goal but we'll leave that conclusion up to you. Ken Miura, the man behind Rocket Bunny and the exposed riveted over fenders look that spread out across the aftermarket world like wildfire is back with a new aero kit for the S2000. The size of the fenders have expanded to made the two-seater car a bonafide wide body that carries a more aggressive stance. With inspiration coming from the previously built Pandem FR-S /BRZ kit, comes this kit with new front bumper, side, skirts, fenders for the front and rear, rear spats, along with the combo of a ducktail spoiler and GT Wing. >>Join the conversation about the Pandem Body Kit right here in the S2Ki.com forum. The kit shines from behind with the active aero in full effect. The looming and aggressive GT wing keeps things steady on the track while the ducktail spoiler is there to keep things sedate around town. We really wonder how many of you guys will take the plunge and outfit your car with this kit from Miura? There was one part of this kit that almost everyone agreed that they just did not like: the extended rear fenders that find their way to becoming part of the door. Visually I like the fenders and the way that they flow along with the lines that the car naturally has. On the other hand, I wonder how long these extended proportions would last in the real world that is unfortunately populated with people who have no regard for how wide they open their car doors. All those new parts attached to the S2000 does breathe new air into the roadster, but the reviews around the office, import, and domestic enthusiasts, are mixed. The look of the car from the front with the new fenders and canards gives the car a very Viper-esque appearance. Rocket Bunny has always done a great job with rear views of the vehicles they tackle that pull the kit together in harmony with the platform it's melded to. 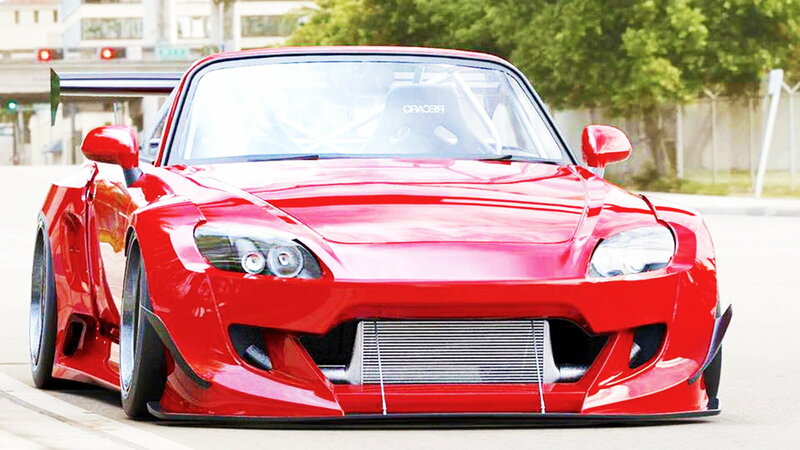 If you are interested in the Pandem Widebody Aero kit, just click here.